I discovered the music of Rodrigo "Ruy" Vazquez alias MARAUDER by studying the 'versionist.com'-free download site and I was right away very impressed by the unconventional ideas of the tracks and the qualities of the arrangements. Astonishing: the man works in Montevideo, Uruguay - a place who is not well known for producing pop-music generally and for riddim and dub artists particularly. BURNING SPEAR "Living Dub vol. I"
KING TUBBY "Dub Gone Crazy"
ALPHA & OMEGA meets DISCIPLES "The sacred art of dub"
various artists "STUDIO ONE DUB"
MAD PROFESSOR "Who knows the secret of the master tape"
SCIENTIST "Rids the world of the evil curse of vampires"
SLY & ROBBIE meets MAD PROFESSOR "Dub Revolutionaries"
That would be it, oh I still would have to take some BOB MARLEY, PETER TOSH and THE CLASH, and a mixer. First dub music made around here was from a band called SUMO, from Argentina, that was in the 80's. Great band, kind of like PIL and GANG OF FOUR, and they played lots of reggae too. Nowadays there seems to be something growing in Argentina, LEE PERRY and MAD PROFESSOR were there last year. There's a guy called U-NIKO in Argentina who made an excellent LP called "Dubs & Friends". There's also a label called Yatay Discos also in Buenos Aires, they are like some kind of latin On-U Sounds and are releasing very good records, some names: NUCA, SHAMBALA, YICOS, UMBANDA DE LA TURKA...well there are some others I don't remember right now, but I recommend Yatay music. About the rest of South America I'm not too well informed, I know lots of latin & brazilian reggae but very few little dubwise. Dub is still at an embryonary state here, you could say. Dub-O-Rama: Hello Ruy. Enthusiasm for a music style becomes mostly in being part of a scene. I assume you got musically socialised in a country where reggae vibes are part of it´s pop culture, not really in Uruguay. Ruy: Well, my first contact with reggae music was when I was living in Sweden, around 1984-85. I was a kid then. When I returned to Uruguay, in my teens, the country was just leaving the military regime. I recall it was a time of liberation and opening our ears to the world. Reggae & punk rock came together. I became a punk (hormones you know). I was in a band (it was more like a gang really) called LOS MERODEADORES. Friends still call me merodeador, which translated to english is MARAUDER. My first exposure to dub music was the 'black market clash' ep, THE CLASH dubbed by MIKEY DREAD. Also 'the dub factor' by BLACK UHURU, crucial record. I was fascinated and started chasing and collecting every dub & reggae record I could find, there were not much around really, but I would ask anyone travelling abroad to walk in a record store with a slip of paper reading "dub". "Dub por favor, señor ¿Si?". Dub-O-Rama: Nice story how the name MARAUDER comes into. When did you start your project? 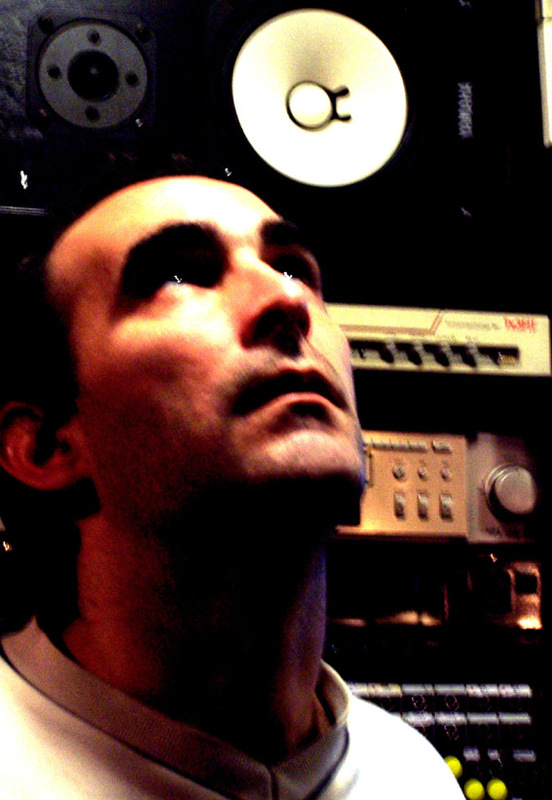 Ruy: Around 97 I started as a selector in reggae parties, mostly using CDs because dubplates are hard to get down here. Then came the internet and I finally got a broader vision of what dub is and the way it has evolved outside Jamaica. The european scene, ZION TRAIN, ALPHA & OMEGA, VIBRONICS, TWILIGHT CIRCUS, DISCIPLES. So I decided to teach myself some music software to build riddims and begun to make dub, with my guitar, keyboard, a 4 track mixer and and echo chamber. Then I came across Versionist.com which is my home in internet now. Well as you can see I'm far from being professional (some days I'm far from being serious) and have long way to go yet. And I love it! As I will explain later, there are reggae vibes & african heritage here but dub hasn't made it yet. I'm afraid I should be some kind of local pioneer. Dub-O-Rama: Some of your tracks have pounds of classic dub, but also unconventional tractions to other themes. You dub themes of BOB MARLEY, BO DIDDLEY and CHE GUEVARA - every track brings out new sites of the 'marauder'. Are transformations a concern of you? Ruy: Not really. It's part of one's searching... I feel that sometimes I'm trying too hard to sound "original". But what I should do is build a style of my own where BO DIDDLEY and CHE GUEVARA can live side by side! And you listen to it and say "oh that's Marauder". I'm on it, it's important to find your own style but you can get trapped inside it too easily. "Like all uruguayans I don´t know very well what I am"
Dub-O-Rama: I think you don´t give very much on being close to traditional dub and rastafari beliefs. Also, sometimes in your tracks I feel south american music energies. Not in styles, but as 'spice'. Ruy: I don't call myself a rasta, I share many of their points of view and I love reggae music to death, but like all uruguayans I don't know very well what I am. But yes I made this dub called 'silencio', which is based on a traditional afro uruguayan song. I'm interested in taking our own roots and connect them to the reggae mainline. But I'm not the first one to think of it of course. There are thousands of artists all over South America building a new reggae foundation. And maybe it won't be just plain reggae in the end, perhaps a new type of music comes out. Dub-O-Rama: Do you have musical friends in the small Montevideo riddim community or only in the internet? Do you have musical clubs there playing reggae 'around the corner'? Ruy: Yes it's a small town so the reggae scene is small.There is a number of bands, mostly roots and ska (ska is very popular here) and some clubs (pubs, "taverns") as well. There is no "dub scene" here, roots bands are good in general but very little dubwise. It's a matter of taste, people love old roots, new roots but when it comes to dub you don't find much interest, same with the newest dancehall, as I found out selecting music in parties. Dub-O-Rama: Same as in Europe, but dancehall is very hip here in the big towns since years. Are you in musical actions beside the MARAUDER project? Ruy: I formed a band called DUB RIFLES (with a bass player, a percussionist and just recently a guitarist) and we've been doing some shows in small places. The odd thing is we are getting more feedback and support from electronic music fans than the reggae massive. They seem to appreciate dub, even if we don't use many electronic sounds (bleeps and all that). The reggae crowd still has some prejudices, they see reggae as if it were the same as blues, a band thing. And they love a big band you know, with horns and girls singing backing vocals. So when they see you walk on stage with a drum machine they go hmmmm...but I suppose that will pass. Even SLY & ROBBIE use drum machines. Still selecting music from time to time, mostly in the summer. I can raise some little money then. Dub-O-Rama: You have deleted some of your brillant download tracks on 'versionist.com'. 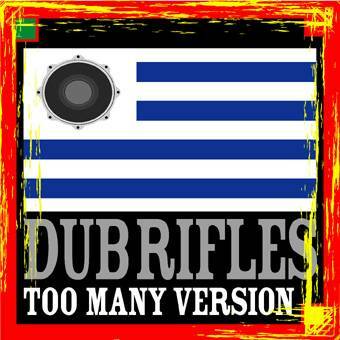 Now there are only few download tracks of you and the DUB RIFLES. Why? Do you plan a release on CD? Ruy: Well I wasn't fully satisfied with most of those tracks, I mean there are good ideas there but the production could be better, so it's back to the drawing board. I'm my worst critic. But I post tracks on versionist.com every fifteen days more or less, even raw mixes, to get feedback and comments from my fellow dubbers around the world. About releases, 'silencio' will be on a radio show compilation album here in Uruguay by december, I think. I'm not really hurried to release a CD, but if there's some label interested we'll see or I'll get an independent release (have to check the costs because I would like it to be a decent thing). What I would like (and will have soon) is a website, still I understand people who likes your music wants the CD. Many thanx for your questions and I'll expect to see some more versionist.com artists interviewed by Dub-O-Rama. Great site with lots of information by the way, well I should learn more german. Danke schön! Dub-O-Rama: Thank you for the interview, too.